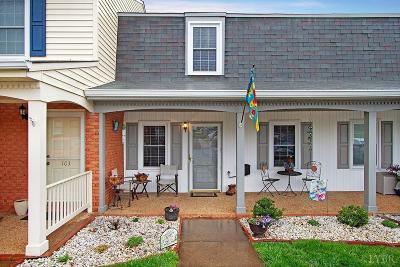 Great townhome in the booming Liberty University area! The living room flows into dining area with a breakfast bar. Laundry closet and half bath are on the main floor. Upstairs, 2 bedroom and full bath. Enjoy the private deck which over looks woods and offers a lot of privacy. Great home for those who want to live maintenance free and have easy access to all of Lynchburg's attractions. Come take a look!